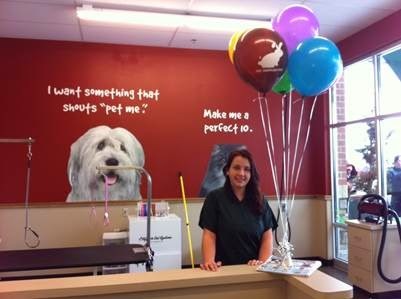 The grooming facility in our Delaware, Ohio pet center scored big points when they put a nervous dog at ease before starting the grooming process. Our neighbor was so pleased to see that a little bit of doggie-love from the team helped make a dreaded process better for her pet. I stopped in to your store last night in Delaware, Ohio. A friendly employee greeted me right at the door and asked if she had permission to pet our dog. She asked if she could assist us in any way. I advised we were there to get some treats and asked about the dog grooming services. She quickly got me some paperwork and some treats for our dog. I advised her we were looking to get the dog's nails trimmed. She stated that they could do that right away as managers are qualified to do so. I explained that our dog was nervous and anxious and I was not sure if they would be able to get them done and that was okay. She advised me to not worry and they would do the best they could. The last time I took her to another place she literally cried the entire way home and was shaking uncontrollably. They took a few minutes to pet her and talk to her and just make her relax. They successfully got all of her nails trimmed; a feat that is not easily conquered. How amazing!! And...she loved them afterward still going to them and kissing them all over. 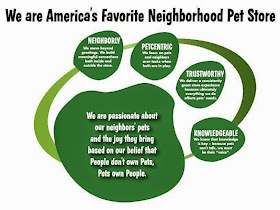 I would like to thank Pet Supplies Plus for maintaining staff that truly cares and loves animals. These girls really took the extra steps to make my dog feel secure. You have just secured lifelong customers. Thank you, thank you, thank you.